Core Data iDoc Processing | Automated Systems, Inc. Automated System’s iDoc is a customizable document management and imaging product that brings security, flexibility, and accessibility to a company’s documentation needs. iDoc™ is a browser based document management and imaging product. It can image and track loan and deposit documents by utilizing barcode technology that will virtually eliminate manual data entry. iDoc™ helps mitigate risk by tracking and reporting on reoccurring, pending, and missing documents while automating and streamlining technical exception reporting by officer, branch, or document type. iDoc™ allows users to create customized checklists and customer notification letters. This automated process can also track customer accounts, vendor contracts, human resource documents, or any document management process. iDoc™ takes the worry out of managing your documents. Since iDoc™ is an automated process, it can manage required documentation and technical exception reporting. It can also reduce Risk and Asset Liability with its pre-configured document checklists and missing document notifications. When it comes to Disaster Recovery, iDoc™ has this covered with the complete digitization of important bank documents. Also, iDoc™ offers a decrease in stockholder liability with its proactive approach to loan documentation compliance and a decrease in operating expenses by saving time and money on storage, printing, and managing documentation requirements. 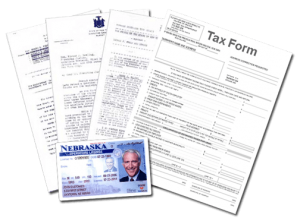 The customization ability of iDoc brings flexibility to your documentation needs in several different ways. iDoc can determine which documents are required and their lead times. It tracks documents with the use of barcodes and indexing. iDoc can monitor multiple documents types like Loan and Human Resource documents, Vendor Contracts, and any digital documents. Its tailor-made scanning option includes cropping, DPI, simplex or duplex, and color or black and white. These scanning options can be set by default or at the time of the scan.